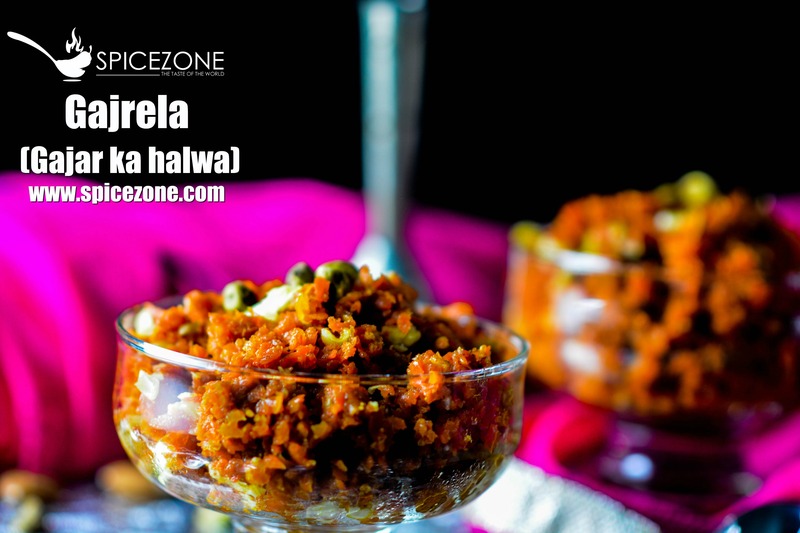 Gajrela, also known as Gajar ka Halwa or Carrot pudding is one of the common winter desserts from North India. 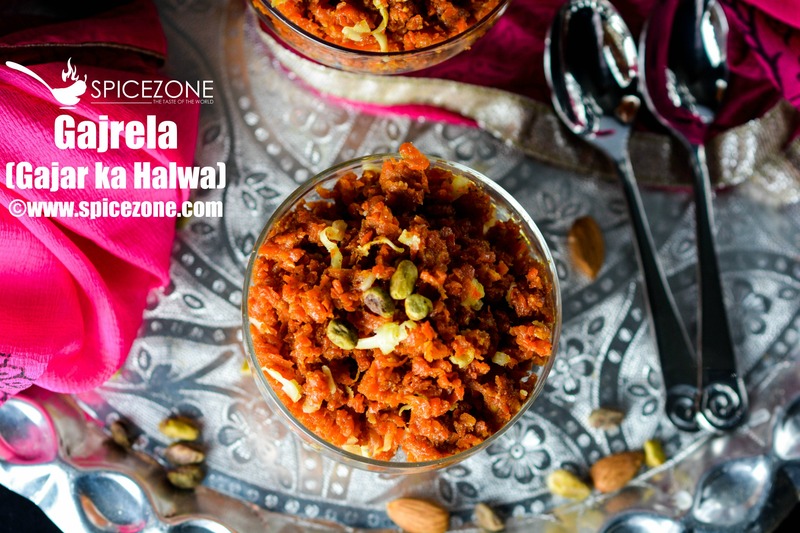 It was originated during the Mughal period and the word Halwa means sweet in Arabic and Gajar means carrot in Hindi. Hence the name “Gajar ka Halwa”. It is usually made in the winters as carrot is a winter vegetable. In India they get these red carrots which gives the halwa a beautiful color which we don't get it here in the US. Gajrela is made with the combination of grated carrots, milk, sugar, clarified butter (ghee), and then garnished with nuts. There is a lot of arm work if you grate the carrots by hand instead of a food processor. I always grate them by hand. Carrots are slow cooked in milk until milk has been pretty much cooked all the way down. You must be thinking its a lot of work. Yes it is and that's why it is made only once or twice a year. It is definitely worth the amount of labor that is put in to make this halwa. This can be eaten hot or cold. I like it hot myself. Some people enjoy hot gajar ka halwa with vanilla ice cream too. I am sure your mouth is watering, am I right? 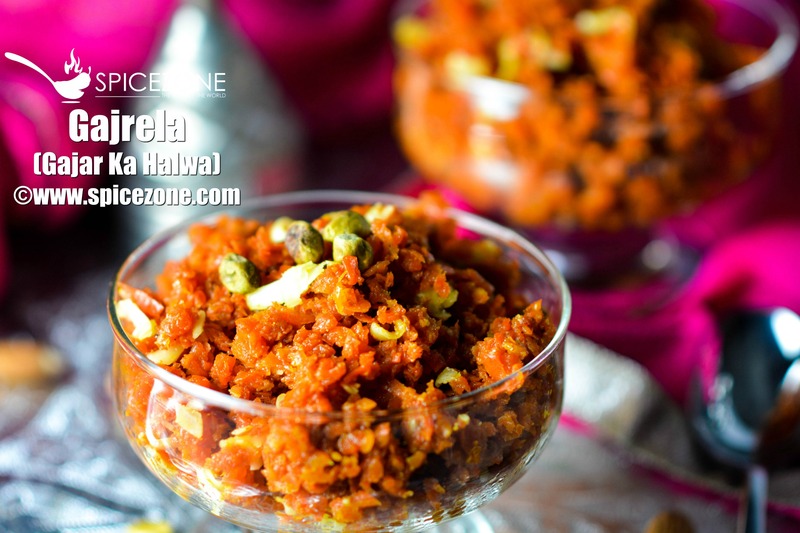 Without any further delay, lets see how to make this yummy halwa and get started. Why is Gajrela the best Indian dessert? In a big pot, add grated carrots along with milk and boil until the milk is absorbed and dried up. Stir occasionally so it doesn't stick to the bottom. Now add sugar and let the sugar cook, you will see that the mixture has some liquid due to the sugar. Cook until it dries up. In a kadhai, add butter and then add the carrot mixture and roast on a slow to medium heat for a good 20-25 mins stirring every few minutes. Roasting the boiled carrots is what give it a yummy taste. If you are any nuts, then slightly fry them in a small frying pan before adding them. Mix it well and roast for another few mins. After roasting it good, add the milk powder, mix well and turn the gas off. Don't cook after putting the milk powder otherwise it will burn. If you are adding milk powder, you don't have add khoya as milk powder works as khoya as it is not available all the time. You can always garnish with grated khoya along with the nuts. Serve hot just like that or with a dollop of vanilla ice-cream. In a big pot, add grated carrots along with milk and boil until the milk is absorbed and dried up. Stir occasionally so it doesn't stick to the bottom.Now add sugar and let the sugar cook, you will see that the mixture has some liquid due to the sugar. Cook until it dries up. In a kadhai, add butter and then add the carrot mixture and roast on a slow to medium heat for a good 20-25 mins stirring every few minutes. Roasting the boiled carrots is what give it a yummy taste. If you are any nuts, then slightly fry them in a small frying pan before adding them. Mix it well and roast for another few mins. 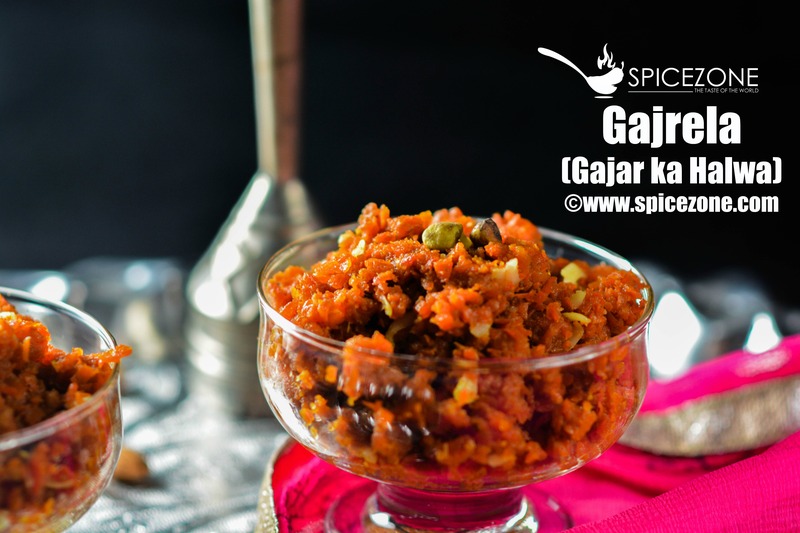 6 Responses to "Gajrela (Carrot Pudding) | How to make Gajar ka Halwa"
I just saw your sweet potato one…this looks delicious too! Yum! Delicious gajrela… I am not too fond of sweets but I do make during parties and this is the most preferred one. Thanks Shobhaji. This one is not too sweet. Yeah I love this one too..